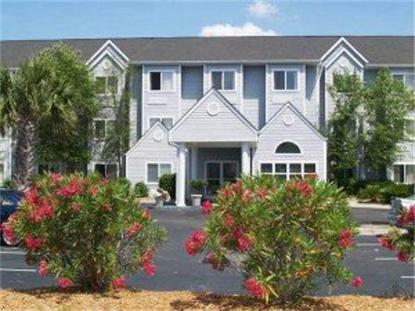 The Microtel Inn and Suites of Myrtle Beach is conveniently located near the intersection of Hwy 501 and Hwy 31. Our hotel is adjacent to the Tanger outlet mall, Myrtle Beach speedway and is less than 2 miles from the 140 acre Hard Rock Theme Park (opening spring of 2008). The Microtel Inn and Suites of Myrtle Beach is located 6 miles from the Myrtle Beach airport, 5 miles from Broadway at the beach and 7 miles to area beaches. You will find the hotel easily accessible to all area attractions and entertainment such as Barefoot Landing, House of Blues, Ripleys Aquarium, Coastal Grand Mall and Coastal Carolina University. There are also over 100 golf courses in the Myrtle Beach area for your enjoyment. The Microtel Inn and Suites of Myrtle beach offers superior amenities that include free continental breakfast, free local and long distance calls, cable tv with HBO, outdoor pool, in room safes and hi speed wireless internet. Business travelers will also find our business services and meeting room very useful. The Microtel Inn and Suites of Myrtle Beach provides first rate accommodations the very best in customer service. Whether traveling for business or pleasure, the Microtel Inn and Suites of Myrtle beach is the perfect choice.